Well hubby’s number one rule about the holidays has been broken. No Christmas movies, music or decor until AFTER Thanksgiving. Little did I know that all I needed to do was get him the Elf movie sooner. I’m not a big fan of going all out until after Thanksgiving either, but I certainly don’t go around all bah-humbug about the whole thing (like hubby does). 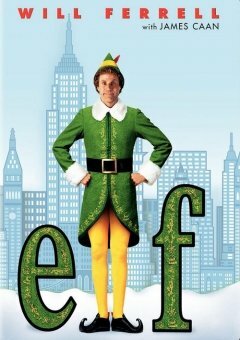 So, after an afternoon of shopping and running errands, I found Elf at our Target store and brought it home. We actually watched it as a family this evening. Ethan was mesmerized. Then, we turned on Christmas music on Pandora. Woah! I know! Have you busted out the holiday stuff yet?